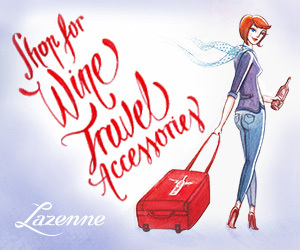 Lazenne have created a great solution to safely bring home wines from your holiday. This specialized wine travel carrying case works in combination with Lazenne's line of bottle protectors allowing you to bring up to 15 bottles of delicious, local goodness (wine, champagne, porto, cider, beer, whiskey, olive oil, you name it) home! 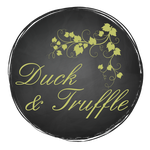 Duck & Truffle is very proud to work with Lazenne helping people enjoy Bergerac wines around the world. Protects against major impacts and is crush resistant, keeping your bottles safe. Maintains steady temperature and pressure levels - serving as a cooler bag as well as protector. Easy to pack and can fit a variety of bottle sizes. Easy to handle with its rolling wheels and carrying straps. Airline, FAA, and EASA approved for airplane travel. Enables you to maximize your airline luggage weight limit of 23 kg (50 lbs). The case folds flat when empty - pack toiletries on the way out and swap for wine on the way home or take wine with you and bring back new labels. Plus you can use it at local picnics with its rolling wheels and cooler bag function.